A mixed bag of corporate earnings pulled stocks slightly lower in afternoon trading Wednesday. Video-game makers were the biggest losers. Take-Two Interactive and Electronic Arts plunged after releasing weak forecasts, citing tougher competition. A broad slide in homebuilder shares also weighed on the market. Skyworks Solutions jumped after announcing a $2 billion stock buyback plan, lifting several chipmakers. Snap, which operates Snapchat, soared after reporting a giant increase in sales and slashing its quarterly loss in half. Broader economic concerns continue shadowing the market. Investors are still concerned about tariffs cutting into profits and consumers’ wallets, along with a general slowdown in growth globally. KEEPING SCORE: The Dow Jones Industrial Average rose 9 points to 25,421 as of 1:44 p.m. Eastern Time. 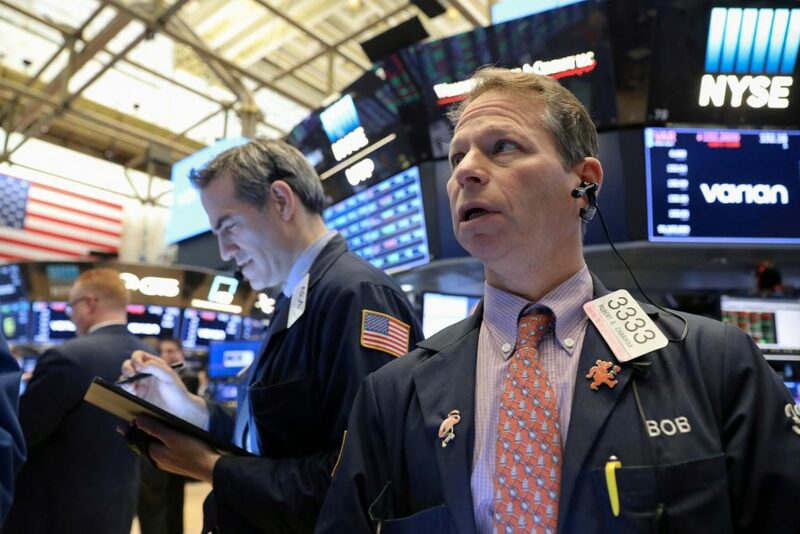 The S&P 500 index slipped 0.1 percent, and The Nasdaq composite fell 0.2 percent. FORTNITE FIGHT: Take-Two and Electronic Arts plunged 12.8 percent and 12.7 percent, respectively, as the companies grapple with competition from Epic Games Inc.
Take-Two, gave investors a weak outlook for the current quarter. Activision Blizzard, fell 10.1 percent. NOT CONSTRUCTIVE: Homebuilders were broadly lower, adding to the market’s downward shift. LGI Homes led the pack with a 6.5 percent decline. OH, SNAP: The company behind SnapChat surged 25.4 percent as advertising gains drove revenue growth in the fourth quarter. The revenue increase helped cut the company’s losses. It also maintained its user base. FEELING CHIPPER: Skyworks Solutions jumped 11.7 percent after the semiconductor company announced a $2 billion stock buyback plan. The news sent shares in several chipmakers higher. Microchip Technology climbed 8.2 percent, while Micron Technology gained 5.9 percent. FIT TO PRINT: The New York Times vaulted 12.6 percent in heavy trading after the newspaper publisher touted a big gain in digital subscribers and digital revenue for the October-December quarter. The Times added 265,000 digital subscriptions in the fourth quarter. Its earnings and revenue topped Wall Street’s forecasts. FANCY SHOES: The company behind Michael Kors, Jimmy Choo and now Versace surged after reporting earnings that were far larger than analysts were expecting. Capri Holdings’ stock jumped 11.1 percent. Sales of its Jimmy Choo and Michael Kors lines were especially strong. OVERSEAS: European markets were mostly lower. An unexpected drop in German factory orders put a damper on investor sentiment. Many Asian markets were closed for the lunar new year.